It's a problem, I recognize it. So just imagine my delight when not one but TWO chubby animal art installations have arrived at the same time. If you are in London or Nantes in the next few weeks, well then you've pretty much won the lottery. 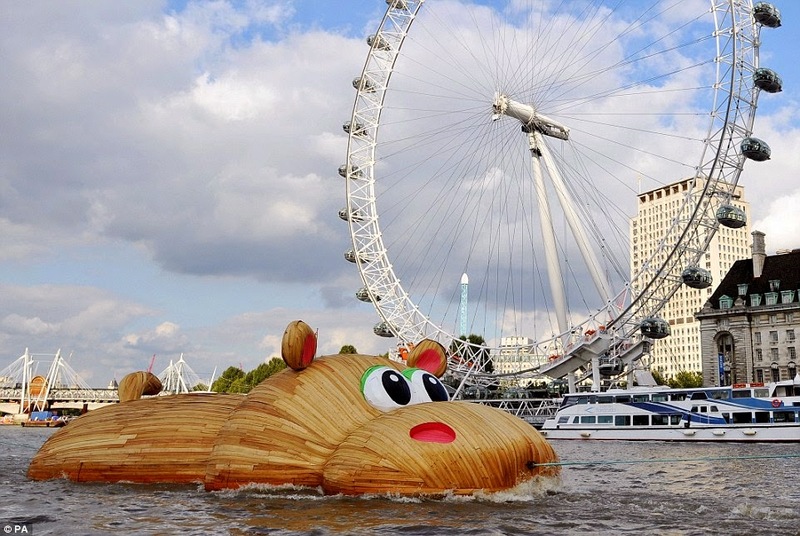 In London, Dutch artist Florentijn Hofman, has created the stinking cutest floating hippopotamus sculpture. 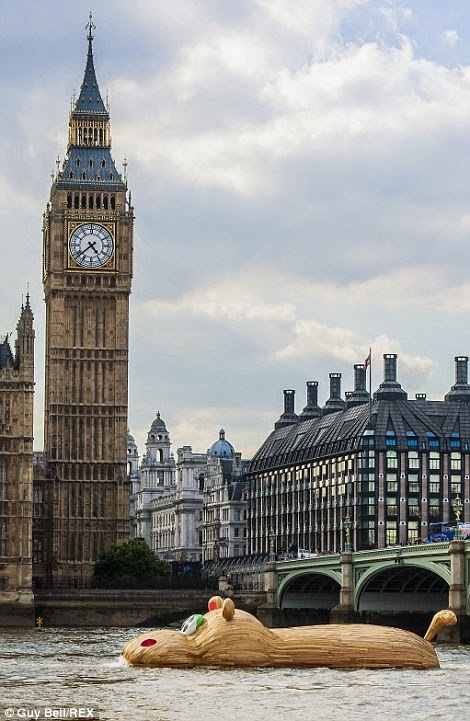 Located on the Thames River to celebrate Totally Thames and it will be accessible to the public at low tide through Sept 28th. 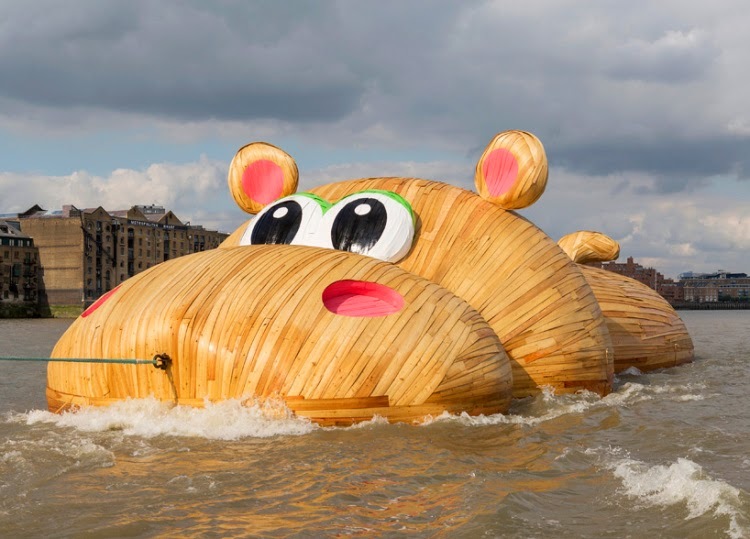 In case you missed it, Florentijn Hofman, is the same genius behind the gigantic rubber ducky that harbored around the world last year. 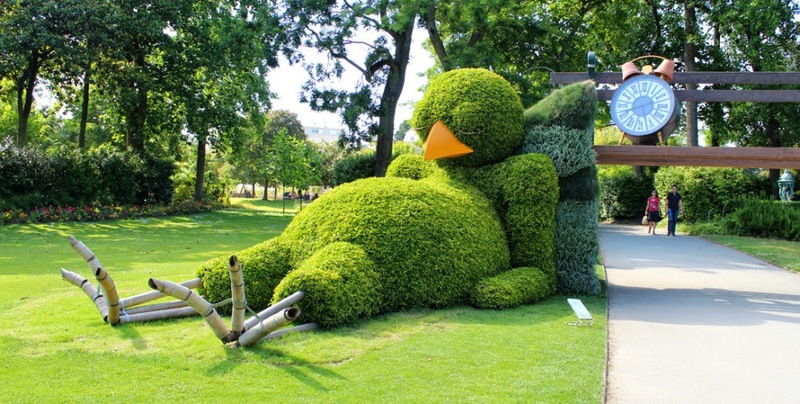 Not to be out shined, Nantes brings to you Le Poussin Endormi (or The Sleeping Chick for those of you who don't remember your high school French). 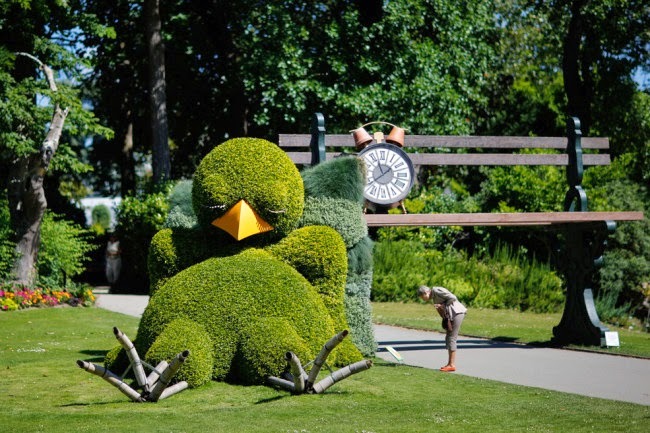 Located in Le Jardin de Plantes, the plump little bird is a topiary masterpiece, part of the celebration of the work of Charles Ponti.